Cemeteries, with few exceptions, do not rank high on lists of places to visit. But, perhaps they should. Cemeteries, after all, are the resting places of those who, to whatever degree, have influenced the course of our own lives. If we look back and connect the dots, then the dots in our respective stories will eventually lead us back to a cemetery — perhaps to the grave of a family member or a friend or some historical figure whose life had a far-reaching impact. 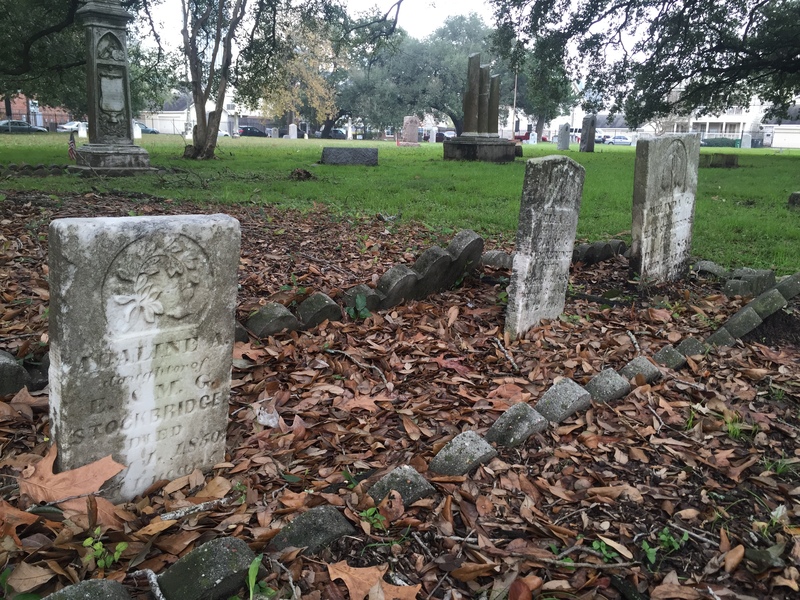 The land for the cemetery was donated by the Allen Brothers in 1836, the same year these brothers founded the city of Houston. In those years the cemetery was located at the outskirts of town. Today, it is surrounded by skyscrapers and adjacent to Rose of Sharon Missionary Baptist Church in Houston’s Fourth Ward — once known as Freedman’s Town, a community originally settled by freed slaves. 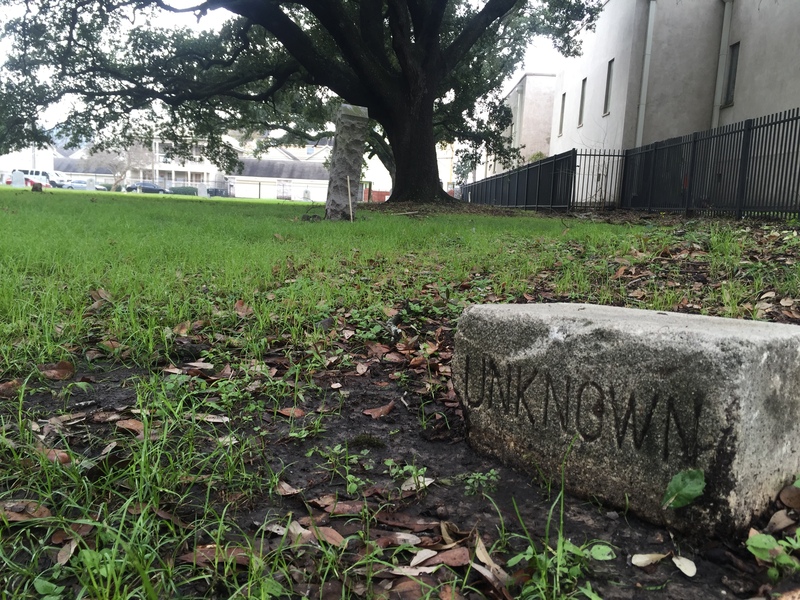 No one knows for sure how many people are buried in this old cemetery. The city did not maintain the best of burial records in its very early days. According to a conservative estimate, there may be as many as 850 graves at the site. During the yellow fever and cholera epidemics of the 1850s, many people died and were quickly interred, some in mass graves. What we do know is that there are approximately eighty headstones at the cemetery, many so weather-beaten that their epitaphs are indecipherable. There are 28 Texas Centennial Monuments at the cemetery, more than in any other cemetery in Texas except the State Cemetery in Austin. 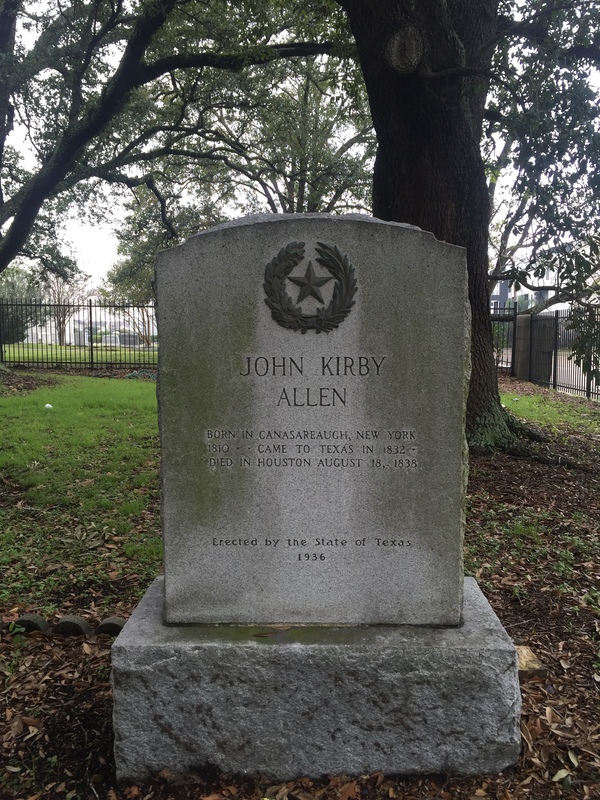 These mark the graves of veterans of the Battle of San Jacinto, dignitaries who served the Republic of Texas, prominent pioneer families and Houston citizens, John Kirby Allen who co-founded Houston, the mother of Republic of Texas President Mirabeau B. Lamar, and a signer a signer of the Texas Declaration of Independence. 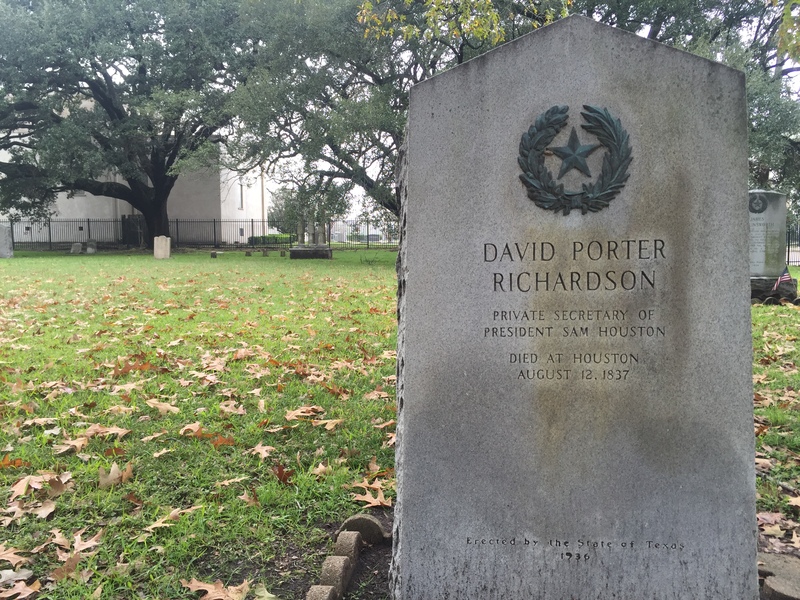 Founders Memorial Cemetery is located just west of downtown Houston at 1217 West Dallas. The entrance is located at the intersection of West Dallas and Valentine Street. The memorial park is maintained by the Houston Parks and Recreation Department and is open from dawn to dusk. 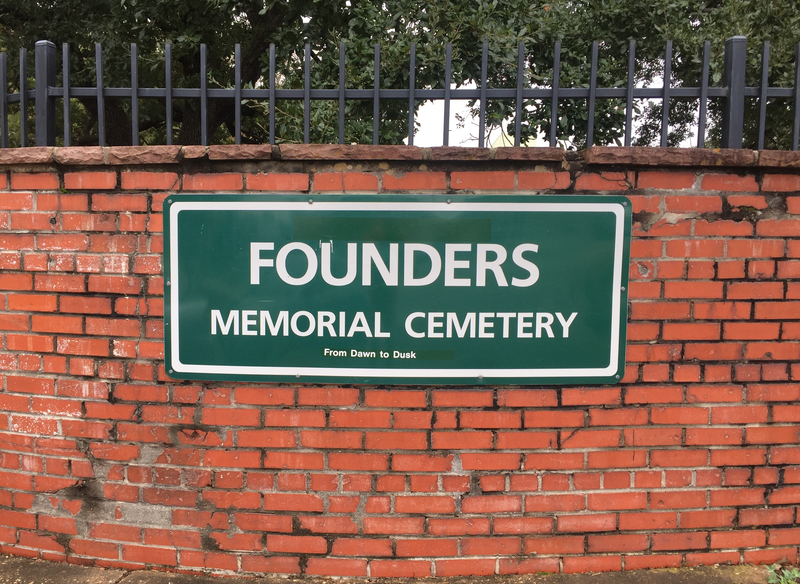 If you are planning to visit the San Jacinto Monument or other historical sites in the greater Houston area, then add this cemetery to your list. Walk slowly and respectfully among the graves of those who helped shape the history of the Lone Star State. This entry was posted in Cemeteries, Texas History and tagged Allen Brothers, Founders Memorial Park Cemetery, Houston History, San Jacinto Veterans. Bookmark the permalink. Wow! I never knew that cemetery was there. It is amazing the historical places hidden right under our noses. Thanks for bringing them alive for us! Fascinating place. Several veterans of the Battle of San Jacinto buried there.